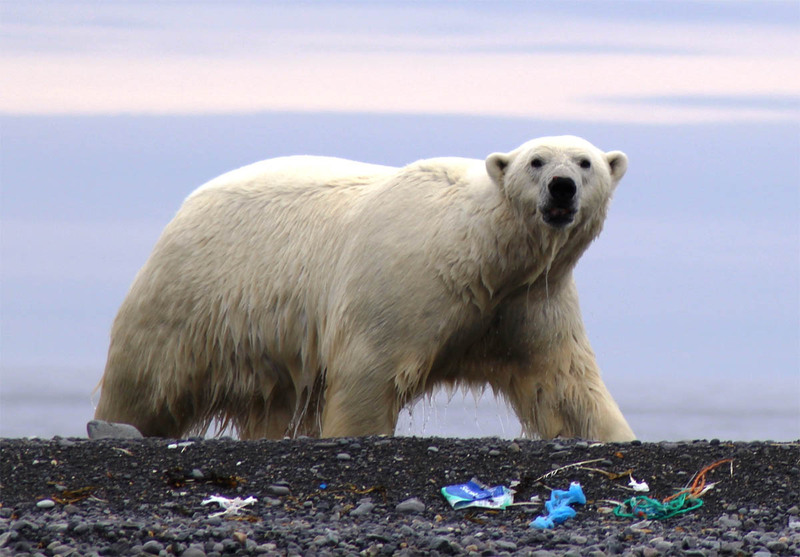 It’s no longer a dirty secret: Svalbard’s shores are far from a pristine Arctic paradise and it’s going to take serious money and effort to combat the ongoing and worsening accumulation of trash on them. That reality was recognized in the latest round of semi-annual grants from the Svalbard Environmental Protection Fund, with nearly a third of the 15.6 million kroner for 40 projects awarded to ocean and coastal cleanup efforts. “Marine garbage is a major area of global focus these days and is reflected in the spring’s application round,” a summary of the grants by the fund’s board of directors notes. “The board has chosen to prioritize these applications highly this year and provides support for a total of seven projects. Researchers have found startlingly high concentrations of garbage in the waters surrounding Svalbard in recent years – both from vessels and from municipal waste from mainland Europe and other areas – and beaches cleared of tons of trash are again strewn with it in a matter of years. While government and non-profit entities have conducted regular cleanups, the latest round of grants reflects a rapidly growing commercial effort. The largest single recipient is the Association of Arctic Expedition Cruise Operators (AECO), which received 1.8 million kroner to initiate a major project aimed at reducing the use of disposable plastics on its members’ ships and increase cruise passengers’ involvement in beach cleanups as a shore activity. The grant will supplement 634,000 kroner received earlier this month from the Norwegian Environmental Directorate to enhance ongoing efforts to facilitate beach cleanups in Svalbard by expedition cruise passengers and crew. • Project Isfjorden, a series of beach cleanups in the fjord by volunteers that was initiated by Aktiv i Friluft last summer, received 275,000 kroner for more cleanups this summer. • Polarflokken kindergarten received 90,000 for a student beach cleanup cruise that’s taken place for several years. • Longyearbyen’s municipal government received nearly one million kroner to cover the costs of handling and sorting coastal waste when it is brought back to town. Numerous land-based cleanup and restoration projects also received funding, including an effort by the city and Telenor Svalbard to get support to remove old cables in the vicinity of the town. “Old cables are visually destructive, they can cause animals in Longyearbyen and the surrounding area problems, and some types of cables can also cause pollution,” the board noted. Many of the grants are also aimed at reducing the impacts of rapidly growing tourism and restoring cultural heritage sites. Visit Svalbard, for example, received nearly two million kroner for multiple projects in Longyearbyen and along the coast towards Bjørndalen such signage, wind shelters and toilets. “Tourism is an area of priority area for Svalbard and for the fund it is important that this does not endanger the vulnerable nature of the island kingdom,” the board noted. The environmental grants established in 2007, are funded by a 150-kroner per-person visitor tax. A total of 90 applications seeking about 43.5 million kroner were submitted for the lastest round.